Nose: Complex bouquet with aromas of citrus, peach, sandalwood, and llight leather notes. 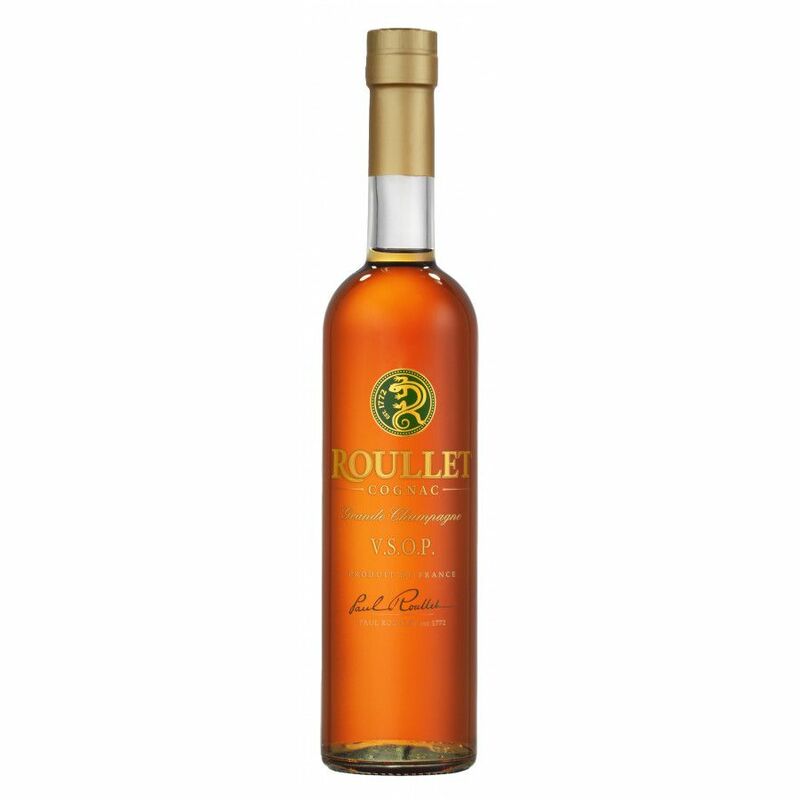 The Roullet VSOP Grande Champagne Cognac is a superb quality blend from the premier terroir of the Cognac growing region. It offers exceptional balance, roundness, and complexity, taking the taster on a journey of the senses from beginning to end. For a cognac of VSOP quality, it really does pack a lot of bang for your buck. Presented in a sophisticated bottle and presentation sleeve, it belies it's low price tag - this is a cognac that you'lll be happy to share in the grandest of company. Great as a digestif, or for a daring change, drop in a block of ice to subtly change the tasting experience. This cognac is truly versatile and a great staple for any drinks cabinet. The Cognac house of Roullet has a long and rich history. 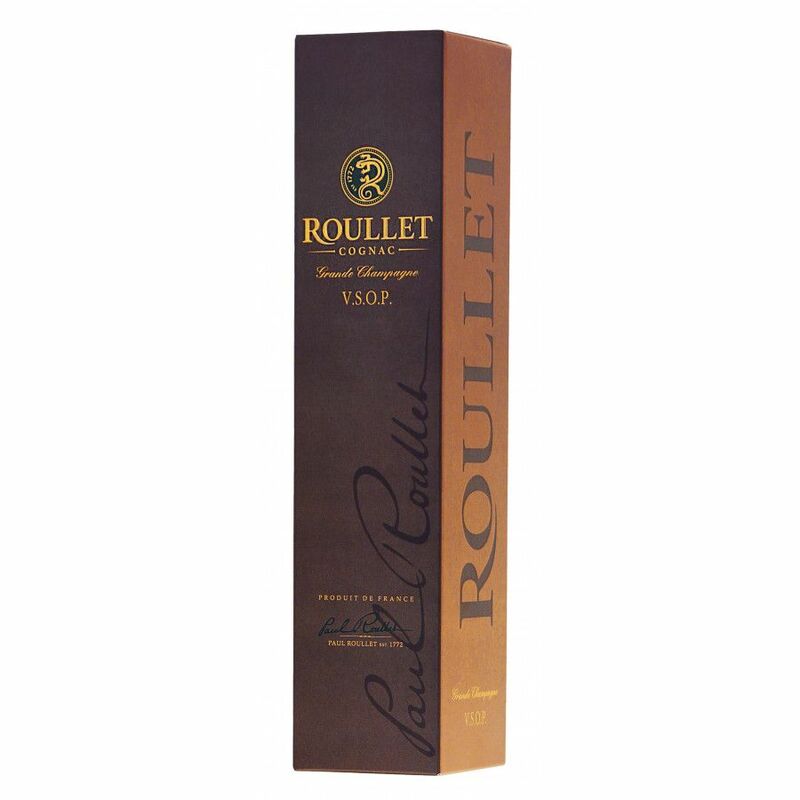 Indeed, the Roullet family were some of the very first to sell Cognacs in glass bottles in Paris back in the 18th century. Vineyards and working the vines are in the blood of this long line of wine makers. There is a traceable history showing the family first owned vineyards in the Cognac region as far back as 1772.